Gary Pollard is a revered industry sculptor of 30-years’ standing who rarely makes appearances at events. He will be one of a number of senior industry artists taking part in our final new feature for this year, Private View. This will involve the unveiling of new works specially commissioned for the event, with the artists discussing and showing images of their build processes. Gary grew up in the north-east town of Redcar in Cleveland, UK and was a fan of sci-fi and horror from an early age. He pursued monster making as a hobby with the earliest inspiration he can recall being Universal’s ‘Frankenstein Meets The Wolfman’, before eventually training in 3D Design (Theatre) at Nottingham (Trent) Polytechnic in 1981. His career as a sculptor started on ‘Labyrinth’ in 1983 and since then he hasn’t stopped working. He was a key sculptor on ‘Star Wars: Episode I – The Phantom Menace’, a creature designer on ‘The Mummy’, an animatronics modeler on ‘Little Shop of Horrors’, a designer for Jim Henson’s Creature Shop on ‘The Never Ending Story III’, head of sculpture on ‘The Hitchhiker’s Guide to the Galaxy’, supervising and key animatronic designer on two of the ‘Harry Potter’ films and prosthetic make-up designer on ‘Mortal Kombat: Annihilation’, to name only a few of his film credits. 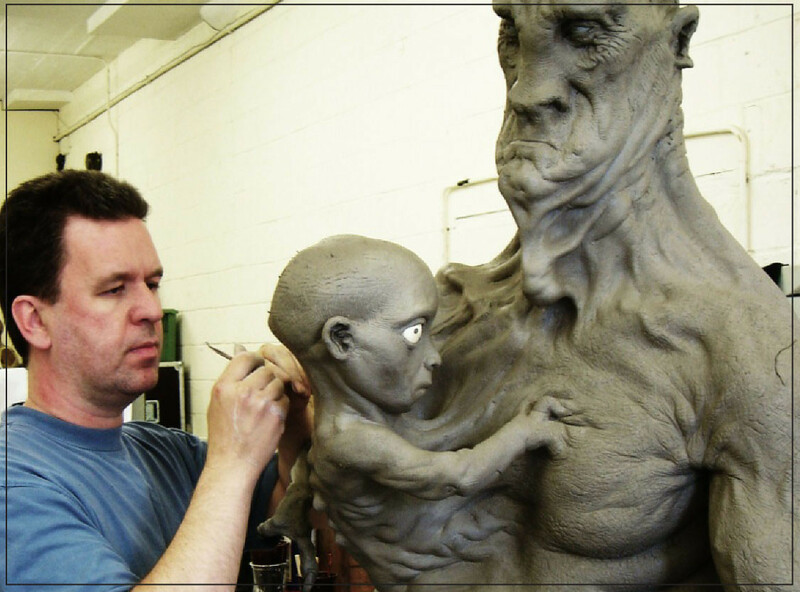 His TV work includes prosthetics for ‘Game of Thrones’ and sculpture for ‘Doctor Who’. Over the years Gary has covered a wide range of topics in his work such as costume, M.O.D. testing rigs, architectural theming and natural history programmes, but monster making has always been the largest part of his career.